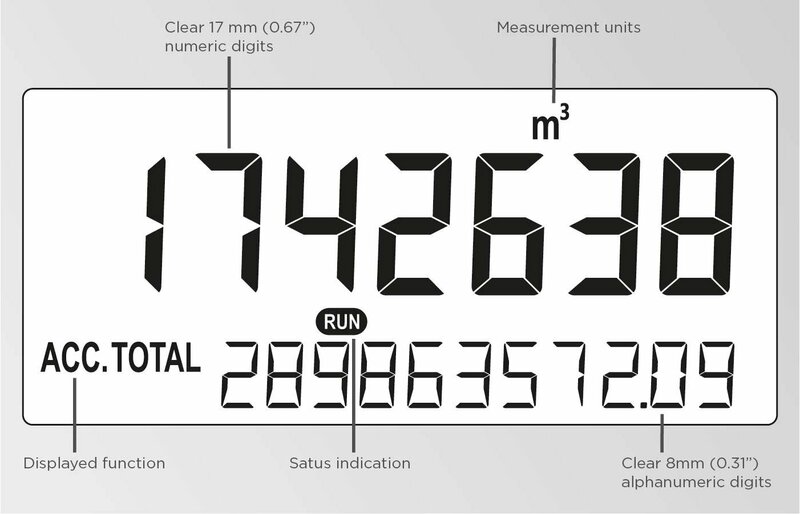 The F011 is a local indicator which displays the running total and accumulated total simultaneously. Total can be reset to zero by pressing the CLEAR button twice. The accumulated total can register up to 11 digits and is backed-up in EEPROM memory every minute, just as the running total. The measuring unit to be displayed is simply selected through an alphanumeric configuration menu. No adhesive labels have to be put on the outside of the enclosure: a weather proof and user-friendly solution! Displays total and accumulated total simultaneously. Selectable on-screen engineering units for total: ml, L, m³, GAL, USGAL, kg, lb, bbl or no unit. LED backlight with adjustable intensity. 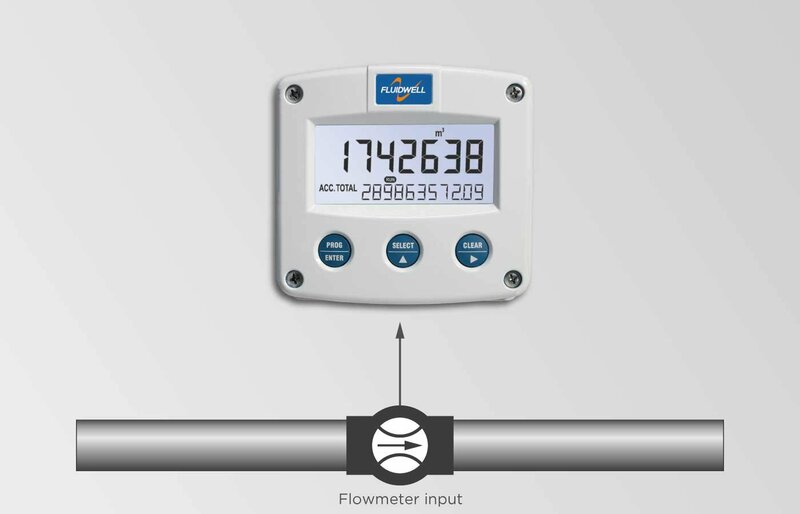 Flow measurement where a local totalizer function is required without flow rate or signal re-transmission functionality. 4 – 20mA, input Loop-powered.